REVIEW - The Fall - Use a Potion! AIs feature heavily in videogames – sometimes they’re out to help you but typically they’ve gone rogue and want to hunt you down (I’m talking about you GLaDOS). Either way though you can count on their appearance in sci-fi games, The Fall continuing that trend. This time around YOU get to play as the AI in a dystopian future; do you adhere to your programming and follow your pre-set rules and tasks, or do you go rogue and take on a life of your own? 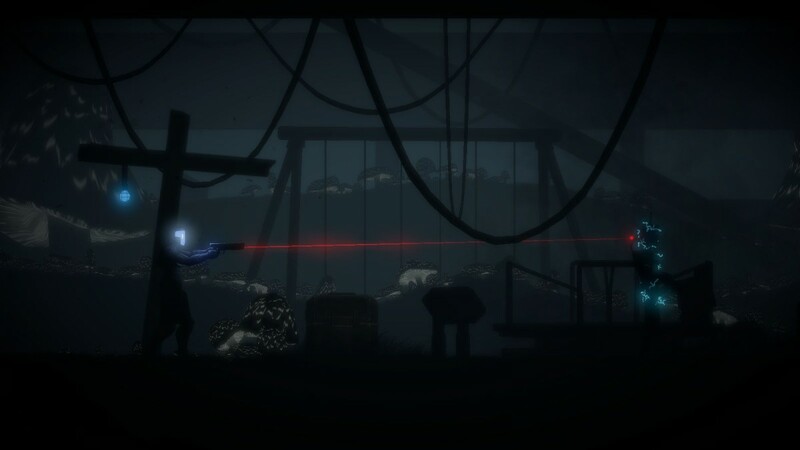 The Fall explores that exact predicament and it certainly makes for a great game. The Fall literally begins with a fall, your character Colonel Josephs falling from space into the atmosphere of a strange planet. Upon your awakening on the planet you don’t take control of Colonel Josephs but rather the AI in his high-tech combat suit, ARID. Colonel Josephs is in critical condition and it’s one of your roles as the AI to protect him at all costs – thus the story has you seeking out medical assistance within your desolate, dilapidated surroundings. Fortunately you find an android repair facility where there is a medical bay. The only downside is that there are hostile androids that try to hunt you down along the way. 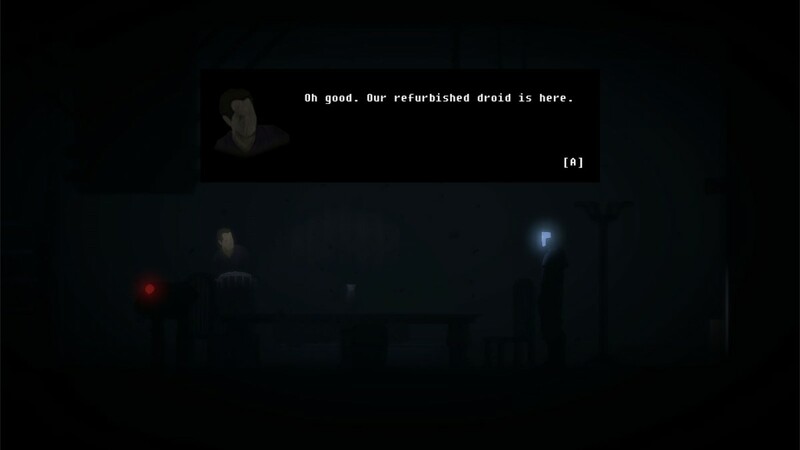 It’s a very dark game; you’ll come across plenty of human corpses and the remnants of a society that has taken a terrible turn. Along your way through the story you’ll find notes and letters scattered around, each one either speaking of uneasy feelings among the staff of the facility or how people have met a tragic end – you’re left questioning what happened in the place and that intrigue will keep you interested from the beginning to the end. Of course, ARID’s only concern is the well being of Colonel Josephs rather than caring about her surroundings, as is evident with the actions you’ll find yourself taking throughout the game. The character development is well structured in The Fall with a good balance of story-telling mixed with interaction. You meet two characters through the game; the somewhat twisted Caretaker, a robot who won’t think twice about destroying malfunctioning robots or quite literally crucifying humans who don’t meet his very high standards, and the Mainframe, a kind AI who tries to act as human as possible. Each character is well developed with their own distinct personality, each representing two different morales. It seems to be a continuing theme within the game with ARID’s morales constantly being questioned – what is she willing to do to in order to save Colonel Josephs’ life? It’s this confliction that eventually leads to the gripping finale of The Fall, one that left an indelible impression and has me eagerly anticipating the next part in the trilogy. The game writers deserve a lot of credit; they did a fantastic job. 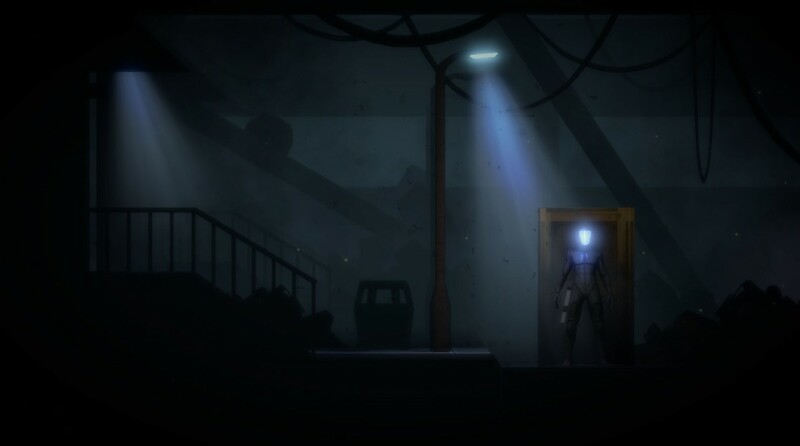 The core of the gameplay has you navigating through the facility, carefully examining your surroundings and using a combination of your cunning and objects around you to solve generally simple puzzles. These puzzles are hardly mind-boggling conundrums, each problem usually being easily solved with the use of an item; it actually has quite a point-and-click adventure feel to the puzzle solving. This has both pros and cons – whilst some of the puzzles are very clever and entertaining to complete a few others have a much simpler solution, normally just requiring the use of a corresponding item to progress. As long as you don’t miss any of the items in the area you generally won’t find yourself too perplexed with most of the puzzles. 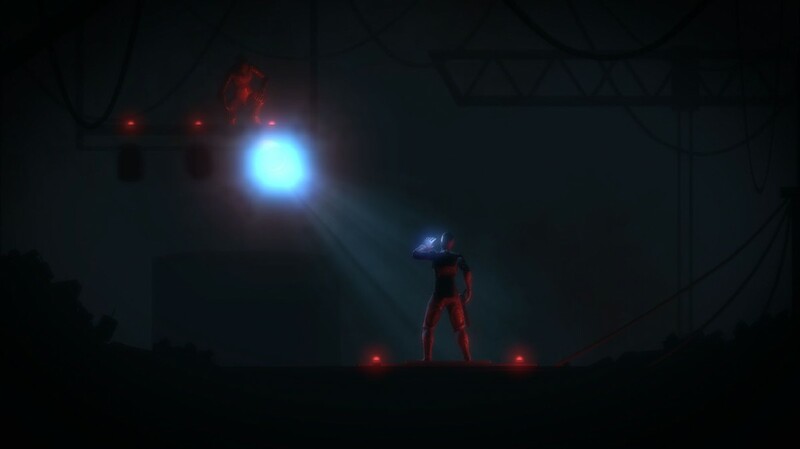 The Fall also features enjoyable combat mechanics and, despite it being played on a 2D plain, a fully functioning cover system. As previously mentioned you’ll come across hostile androids throughout the facility that are out for AI blood. Combat is pretty satisfying, especially by the time you get the laser sight upgrade to your gun which allows you to quickly pop in and out of cover, taking enemy android’s heads clean off with an accurate shot to the head. It’s not always that easy though – you’ll find your shield can’t take that many hits before failing on you and it doesn’t regenerate at a very fast pace. The enemy androids are also quite clever; I thought I’d be safe behind cover waiting for my shields to regenerate only for one of the enemies to pursue me over my cover and kill me. These androids are clever – there’s no room for complacency in The Fall. Of course you do have abilities like your camouflage to try and outsmart your enemies but nothing is more satisfying than that one clean shot, taking out your enemy with a decapitating headshot. The only issue I really had with the gameplay was the controls. While they generally functioned well there were some moments they could be quite clunky, mainly when trying to turn quickly or sometimes whilst sticking in and out of cover. It was nothing game breaking, just a small annoyance that I got used to fairly quickly. You wouldn’t call The Fall the most stunning game graphically, but in most cases it certainly manages to impress. The character models are well designed and well animated, the androids moving with human like posture. Even the gruesome slug like creatures you encounter will manage to gross you out. Environments are generally of a high standard. Whilst most areas have a dark almost silhouette like look to them, there are some areas that really stand out. The simulation of a family home is certainly impressive, evoking the feel of a classic family home from the 60s, although it still manages to feel haunting and slightly disturbed with the crucified corpse in the baby’s bedroom. Other areas of the facility look good too; despite the game being on a 2D plain there is a lot of interaction with the background, giving areas more of a living feel. The developer’s have done a good job. The sound design of the game is really top notch – the voice actors did a fantastic job portraying all of their roles. They really brought the story to life with their delivery and I’m hoping we’ll see some of them taking on the roles again in the future chapters of the game. I started playing The Fall not knowing much about the game – only that it had a successful Kickstarter campaign and there was a lot of buzz about it with gamers. I understand why; It tells a fantastic engaging story, has enjoyable puzzle solving (albeit slightly simple) and combat, impressive visuals on a 2D plain and phenomenal voice acting. The game took roughly 3 to 4 hours to complete, but that time was well spent. The Fall doesn’t break new ground within its genre but it doesn’t need to – it does everything right and I really can’t wait to see what developers Over The Moon Games bring to the table with Part 2.